For many years now, Australia has been hoping to sustain a solar technology-based manufacturing industry. Its high hopes will soon have realization, thanks to the dedication of a high-tech innovation company. Solar Systems Pty Ltd, a wholly owned subsidiary of Silex Systems Ltd has announced that it has commenced operation of Australia’s largest Concentrating Photovoltaic (CPV) Solar Power Station in Bridgewater, central Victoria. 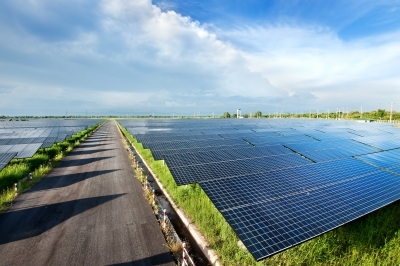 The 500 kilowatt grid-connected facility will be used for the demonstration and testing of Solar Systems’ proprietary ‘Dense Array’ CPV solar conversion system. Initially, only eight solar dish systems have been commissioned and are currently operational. But in the next couple of weeks, eight more dishes are scheduled to be brought online. The Bridgewater facility has received strong financial support from the Australian Federal Government and the Victorian State Government. “We are very excited about the commercial potential of this technology, which is expected to provide very low cost electricity from large utility-scale solar power stations,” Dr. Goldsworthy added. Solar Systems’ technology is suited to large utility-scale electrical power generation using the proprietary ‘Dense Array’ CPV solar conversion system. The technology is being prepared for commercial deployment in the burgeoning global utility-scale solar power station market which is forecast to grow rapidly over the next decade. Solar Systems is also constructing a larger CPV Solar Power Station in Mildura, north-west Victoria. The company expects to build additional large-scale solar power stations in key offshore markets, including the USA and the Middle East, where potential opportunities are currently under evaluation.